I am not phased by sausages, I don’t particularly like them and they are never my choice of food however that was until chicken sausages entered my life. 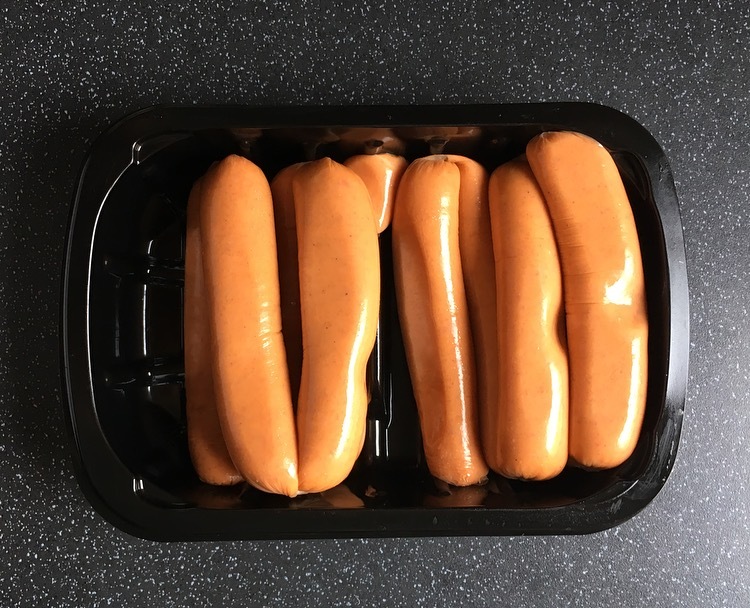 Chicken sausages are becoming more readily available in supermarkets and I spied these HECK Smoky Paprika Chicken ones and was dying to give them a whirl. 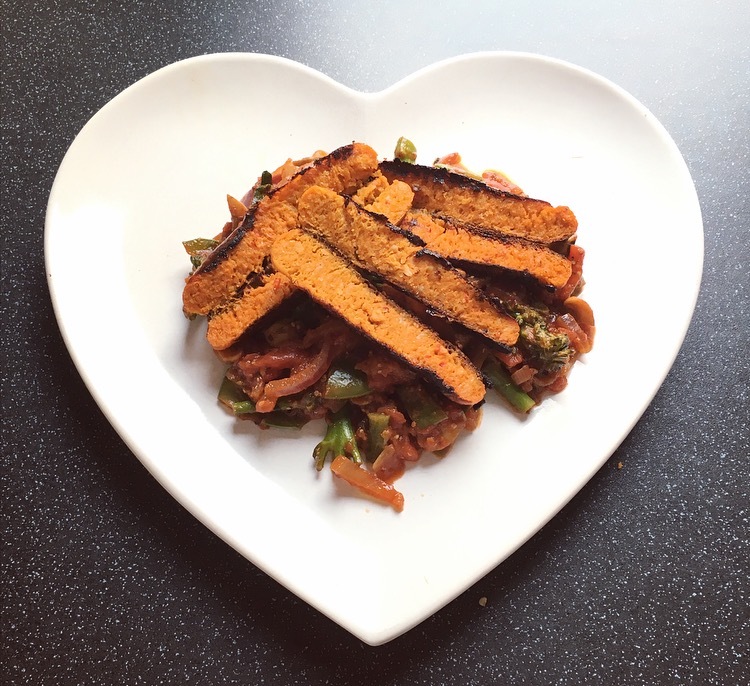 Boasting to be lower in fat and better for you than the traditional sausages, these make for a healthy eaters dream. Not only are they low fat, rejoice because they are also wheat, gluten and dairy free! HECK have a number of varieties on offer – Chicken Italia which are delish FYI, Zesty Chicken and Smoky Paprika. Coming in at £3.00 a pack they are usually on offer in one of the major supermarkets. 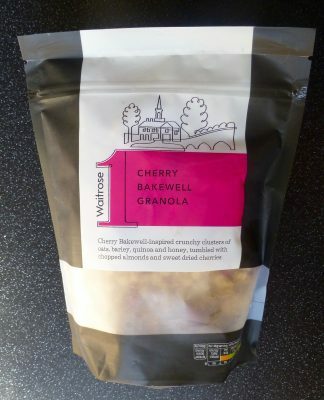 Per 2 chipolatas – 92 kcal, 0.3g sat fat, 0.5g sugar, 17g protein, 1.1g salt. Cracking these open, holy moly they are orange, like bright orange. It advises you to grill these however you can wang them in the oven, frying pan or BBQ, pretty much any cooking method will work. As they were cooking I could smell the smoky paprika and it was pretty inviting. I opted for a little tomato mustard stir fry to go with these sausages, and it turned out blooming well. The sausages were not at all dry, which is quite the risk given it is chicken. These little chipolatas were certainly jam packed with the flavour of Spain. The rich deep smokey flavour was the most prominent flavour with a slight herby flavour and pepper coming in at the back which gave it a kick. These are certainly an acquired taste and aren’t all that versatile. That said they will not be everybody’s cup of tea but they are mine. 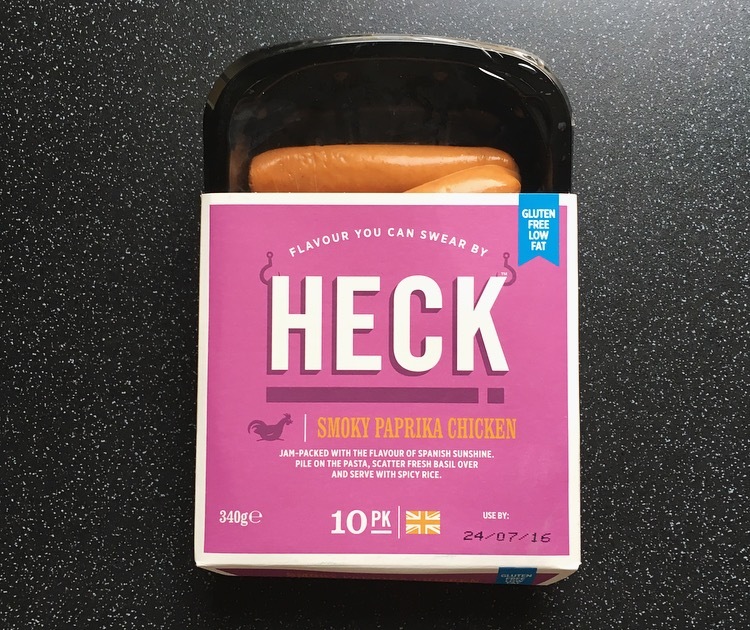 These are a lovely alternative to your plain jane sausages, HECK have certainly cornered the market to give us something tasty whilst being perfect for those who are on a health kick. My favourite are still their Chicken Italia ones, those slapped in some thick bread is just bellisimo. That said I would happily have these smoky numbers again. HECK give some of them a go.